Why are the wealthiest people in the world giving their money away? In our final month together, with an understanding of how wealth becomes controlled time, in this Month we 'tune in', as a radio tunes in to the right station by turning the dial. We will learn how to tune in to your flow, how our brains work, how we experience time in synchronizing with our team, country and industry cycles. Finally, we will learn the three powers, and how it leads us from time to the time-less. 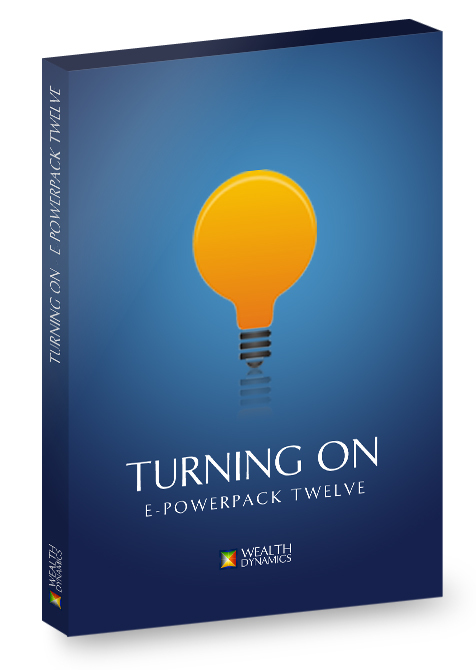 Click the button below to add the ePowerPack #12 - Turning On to your wish list.